Search & Discover over 1600 resources for renewable energy and environment ! 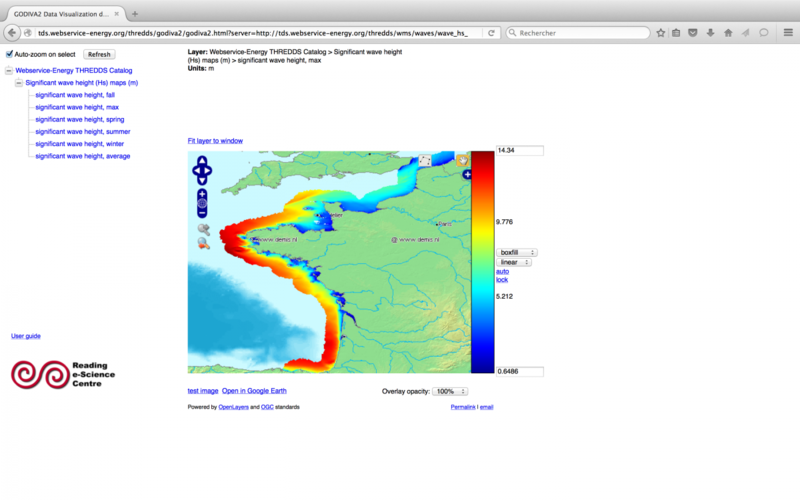 Access energy-related visualizations tools, apps and WebGIS clients. Browse a list of resources enabling a better access and share of renewable energy related informations. The webservice-energy.org platform is an effort carried out by the center Observation, Impacts, Energy (O.I.E.) of MINES ParisTech / ARMINES and also from the SoDa Team toward the Energy and Environmental Community. 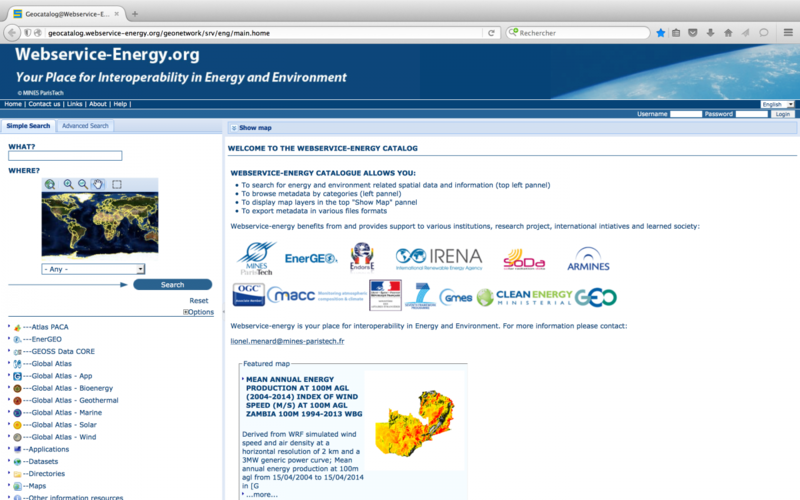 The webservice-energy.org platform is recognized as a GEOSS Community Portal. It has been previously registered in the GEOSS Data Provider Yellow Page listing and it is part of the Discovery and Access Broker (DAB) resources list. Consequently all resources deployed under these platforms are available in the GEO Portal. The webservice-energy.org platform hosts a collection of Web Services offering data and applications in Renewable Energy and Environment. The exploitation of Renewable Energy sources such as solar and wind energy requires accurate knowledge of the resources and their availability -in space and time- as well as accurate forecasts in the different phases of an energy system life cycle. Web services are a efficient means to access to up-to-date knowledge by achieving connections, and facilitating exchange of data, applications, and information between actors. The Web services are made available to the community by various providers on a for-free access or restricted access basis. Cataloging is powered by an OGC Web Catalog Service for the Web (CSW) known as the Webservice-Energy Catalog. Several local and remote clients are exploiting and/or combining the webservice-energy.org resources. 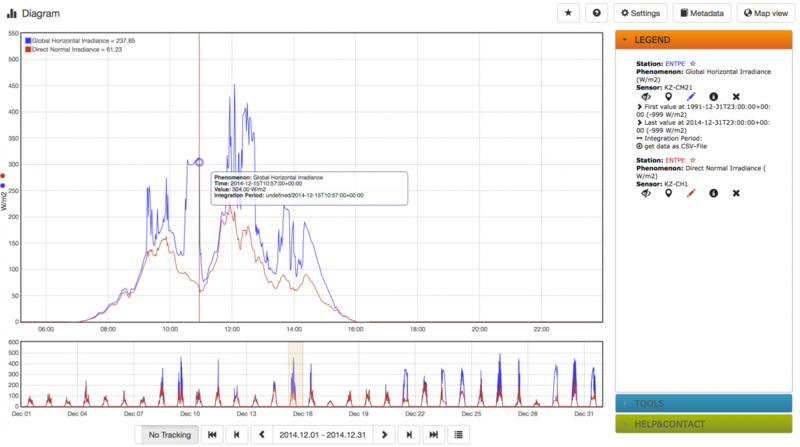 Examples of such graphical clients can be accessed through the webservice-Energy.org Tools & Applications section. Copyright © 2019, webservice-energy. Theme by Devsaran.